The right's rhetoric that illegal migration was their only concern is belied by the new strategy to keep many more legal immigrants out. Quiz time! About which group is the following excerpt from a congressional report blasting? Mexicans? Muslims? Undocumented immigrants? Putin’s spies? Nope! Try European immigrants — the ones that went through Ellis Island, specifically. It’s about the kind of people that conservatives nowadays hail as heroes because they arrived to the United States as “legal” immigrants, as opposed to the “illegal” ones who come here to one day vote for Democrats. Yes, over 100 years ago, America freaked out about legal Southern and Eastern Europeans supposedly storming our shores, much like Donald Trump rails against refugees from “shithole” countries today. The above blurb came from the 1911 Dillingham Commission, a bipartisan group of U.S. congressmen and senators, that issued a 42-volume study concluding that Jews, Italians, Poles Greeks and especially Hungarians represented a threat to our democracy. They just, the report indicated, didn’t match the intellect and, frankly, the whiteness of the northern and Western Europeans who had previously flooded the U.S. in the 19th century. Hence, Lady Liberty needed to pull up the bridge and build a wall. The Dillingham Commission’s rank scare tactics worked — a decade later, the United States issued severe quotas against “undesirable” (but, to that point, legal) immigrants which stayed in effect for nearly 40 years. It’s important to keep that in mind with every bomb that the Trump administration throws in its scorched-earth campaign against immigrants in this country. His supporters have always maintained that they and their beloved 45 aren’t racist and have no problem with legal migration, just the illegal kind. But their true, hateful heart gets exposed again, gracias (again) to Trump senior advisor Stephen Miller, who once had Latino friends while growing up in liberal Santa Monica then mysteriously turned against them (romantic rejection? Bullying? A case of Montezuma’s Revenge?). He’s the pendejo who not only convinced Trump to try out a Muslim travel ban and separate Central American families at the U.S.-Mexico border, but also who fed lies to Trump about refugees. May I remind everyone that Miller is now targeting legal immigrants? Immigration activists are rightfully freaking out, but they shouldn’t be surprised: Throughout the entirety of American history, the majority of anti-immigrant actions and sentiments have been directed at legal immigrants. The Irish and Jews and Italians and Chinese who bore the brunt of xenophobia in the 19th century almost all came through legal means — but it wasn’t good enough, because they weren’t considered “white” at the time. 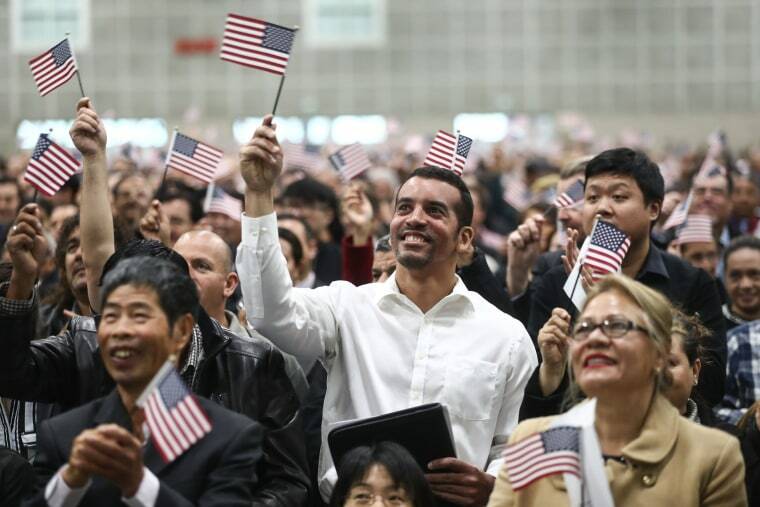 And nearly all the big anti-immigrant efforts put forth by the federal government before World War II — the Naturalization Act of 1790, the 1882 Chinese Exclusion Act, the 1924 Immigration Act — were enacted under the premise that the latest batch of legal immigrants weren’t up to snuff compared to previous generations and thus deserved to be curtailed or outright banned, because they weren’t “white.” And everyone knows white is the only right in this country for the powers-that-be. This racism has always been the main driver behind hysteria over undocumented migrants. There was really no such thing as an “illegal” immigrant until Chinese tried to enter the United States in the early 1900s to flee pogroms in Mexico; that’s when the first prototype for the Border Patrol debuted, by la migra’s own admission. Americans never had a real problem with border-hoppers until the Great Depression, when the federal government deported Mexican nationals and U.S. citizens of Mexican descent alike under the premise the economy would improve (it didn’t). And when Trump talks about building a wall today, he’s not talking about excluding the 50,000 or so Irish who live in this country illegally — you know, the people who were once considered not white and whose descendants now dominate the Trump White House. And he’s not even just talking about deporting undocumented migrants. At this point, he’s talking about deporting everyone he can justify deporting, and then deport even more. Xenophobic immigration policy is now Trump's brand. He can't let it fail. Opponents of illegal immigration should just admit their xenophobia once and for all — though they, of course, will continue to vehemently deny the charge. But there’s one way to prove me wrong, Know-Nothings: Fight back against the anti-legal immigrant policies of Trump and Miller. Demand that Miller step down for pushing such nastiness into Trump’s ears. Hold thousands-strong rallies across the United States and insist that our nation not strip away the chance for citizenship of those who have patiently waited for years, like the military recruits who were suddenly discharged in July for no good reason. Make an alliance with the open-border types you’ve hated for so long, who now seem like prophets for saying all along Trump was coming for all migrants, legal or not. And if the supposed anti-illegal immigrant crowd doesn’t voice any protest, let alone show up to one? Then they’re just as nasty as Stephen Miller — and probably just as pendejo. 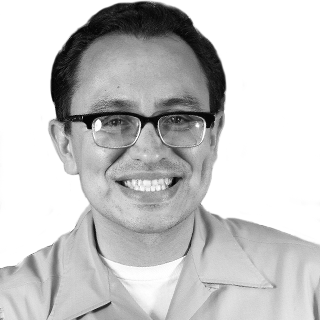 Gustavo Arellano is the California columnist for the Los Angeles Times opinion section, and a lifelong resident of Orange County, California, where he's reported on the craziest county on Earth for over 16 years.